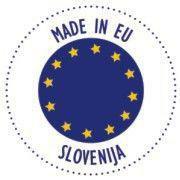 Our products are renowned for excellent materials, unique design and superb slovenian production. Odeja is a company, devoted to excellence. We have committed ourselves that this excellence will be reflected in our products, our relationship with customers and business partners and in all services we offer. 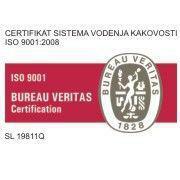 This is also reflected by the ISO certificate. Our products for childern contribute to well-being, healty sleeping and joyful play of their our little ones. Thus they are all equipped with Öko-Tex certificate class I, which ensures that there are no substances harmful to health in them. More information about the certificate is available at www.oeko-tex.com. 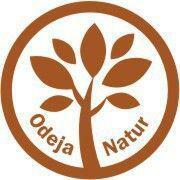 All the products in Odeja Organic collection are made of organic materials. The organic cotton and the organic merino wool with the GOTS certificate are produced in a totally ecological way: the fields and pastures were not processed with fertilizers, pesticides or insecticides. Animal and plant health is carefully controlled and does not include unnecessary treatment with antibiotics. The fibers are cleaned and processed in an extremely careful way. We very carefully select materials from which our products are made, because we want that everything we offer contributes to well-being and health of their users. 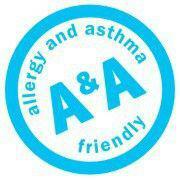 Some products are specially made for the most sensitive people, for allergic people and asthmatics. These products are labelled with A&A. It is characteristic for these products that their materials prevent the development of dust mites, mould and bacteria in the product or that they are washable at a minimum of 60°C. Odeja Natur is a bedding collection made of various natural materials defined by their controlled origin and certified top quality. The natural features of down, feather, wool and plant fibres create an exceptionally natural, comfortable and healthy sleeping climate. 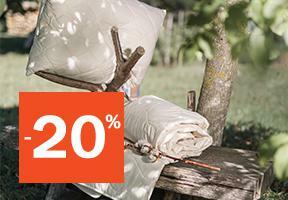 Since 1932 Odeja is a tested and renowned European manufacturer of textile products for home decoration. We are distinguished by our own permanent development, highly qualified production and developed selling network.